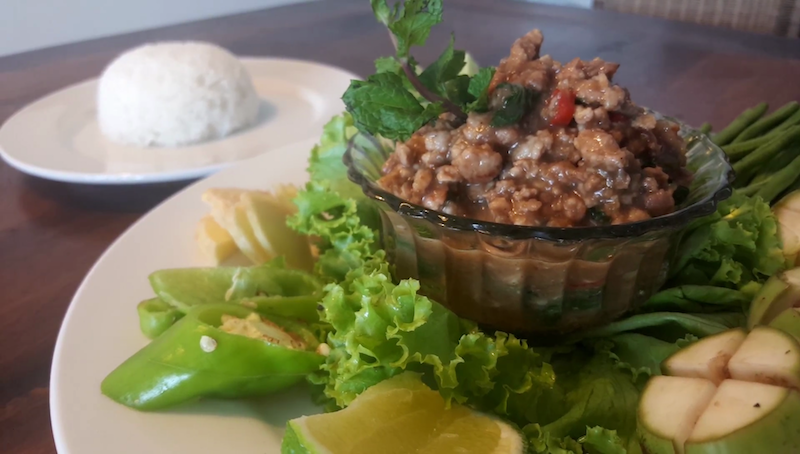 This week’s video is a South East Asian classic popular in Laos and Thailand, Laab (or Larb). This is my Khmer style version. Vary amount of chilies to taste and serve with your favourite dipping vegetables. Add a cup of water, red chilli and stir over heat until falvours combined. Add cooked pork mix to bowl and add lime and mint.